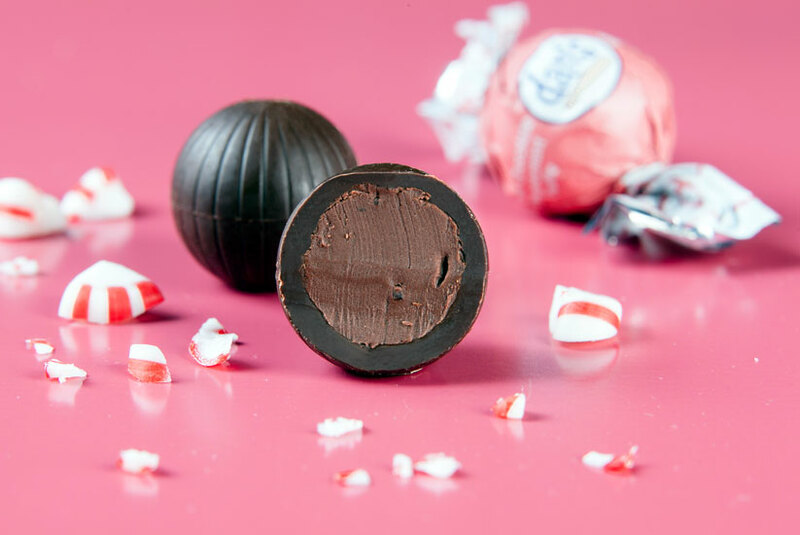 With fragments of peppermint candy canes embedded randomly throughout these 64% cacao dark truffle balls, it is hard to imagine a more festive creation. Our truffles are gluten free. There are 16 truffles per pack, perfect for you at home or for a loved one as a gift. 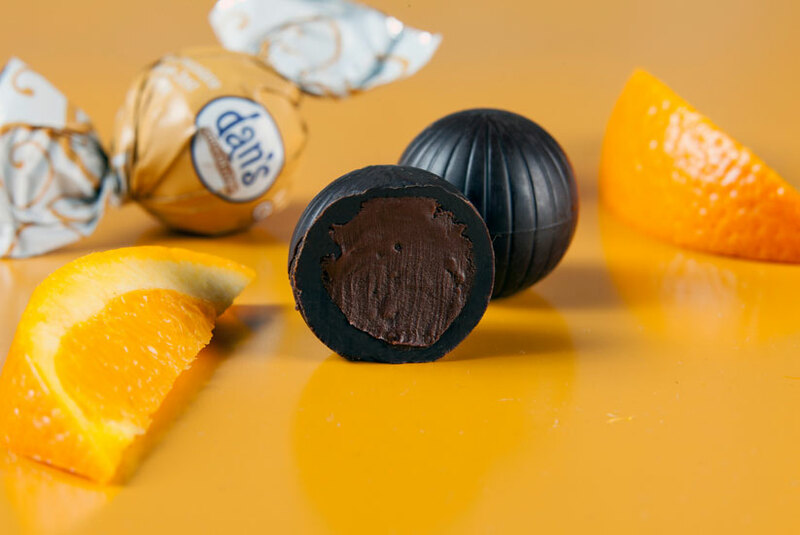 Deep, dark 70% cacao chocolate, infused with orange zest, this truffle ball rides the wave of orange-tasting fashion. 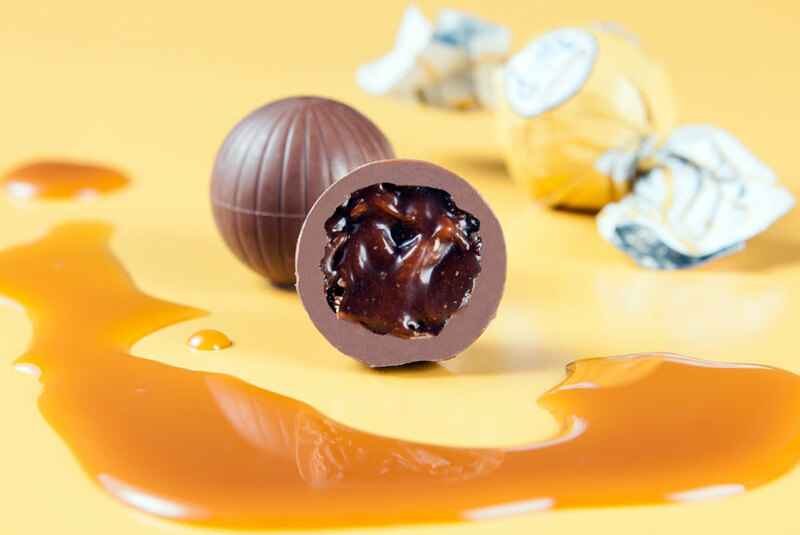 Silky milk chocolate with gourmet caramel as soft and smooth as a flowing river. Until you have tasted our oozing, rich caramel, it is questionable if you have truly lived. 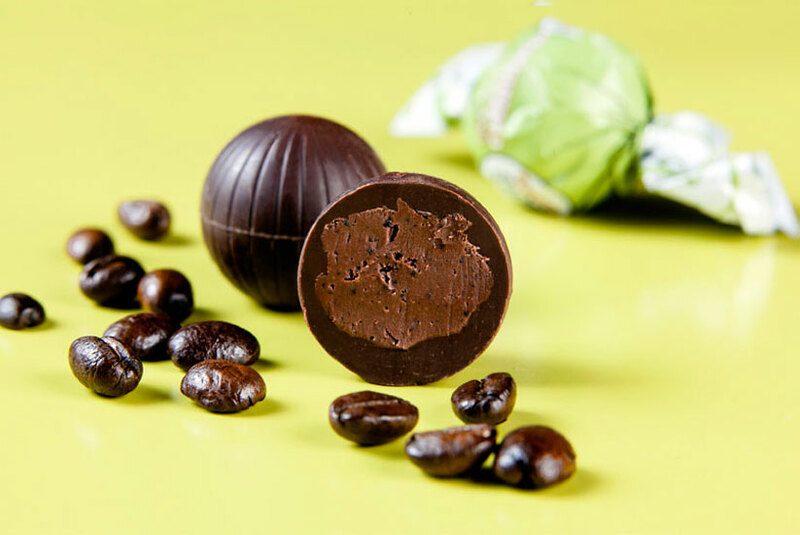 Power yourself up with 64% dark cacao chocolate laced with dark coffee beans and caffeine. It's chocolate on afterburner. 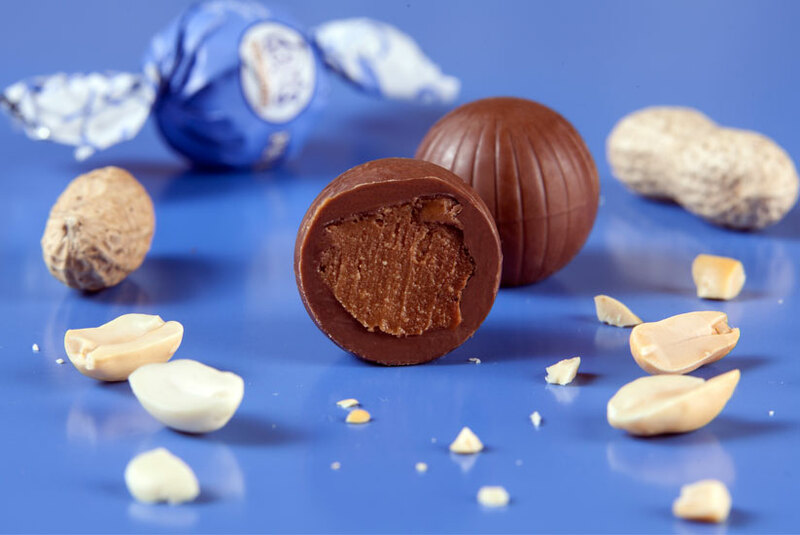 Creamy milk chocolate with peanut butter inside. As the chocolate melts into the peanut butter in your mouth, you will, for just a moment, reach true nirvana. Chocolate chips go in cookies and brownies, so why not truffle balls? What, you ask? 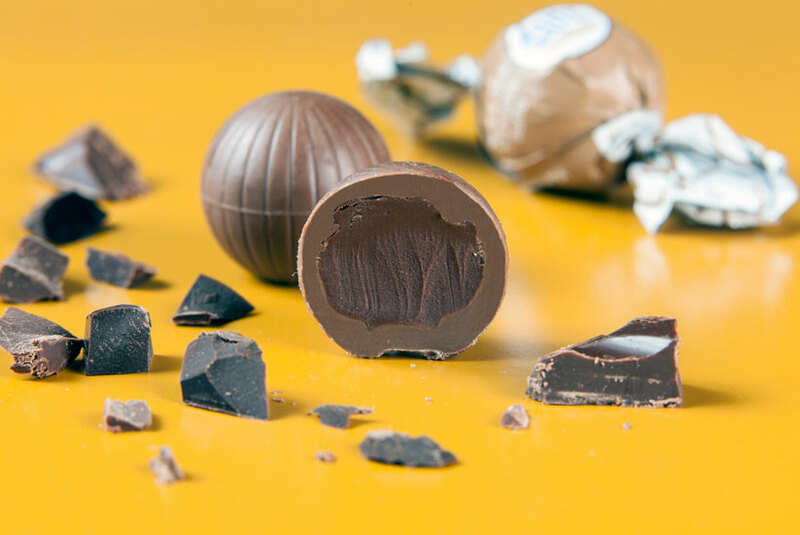 These creations are milk chocolate with a core of 64% cacao dark chocolate. The yin and the yang, all together now.